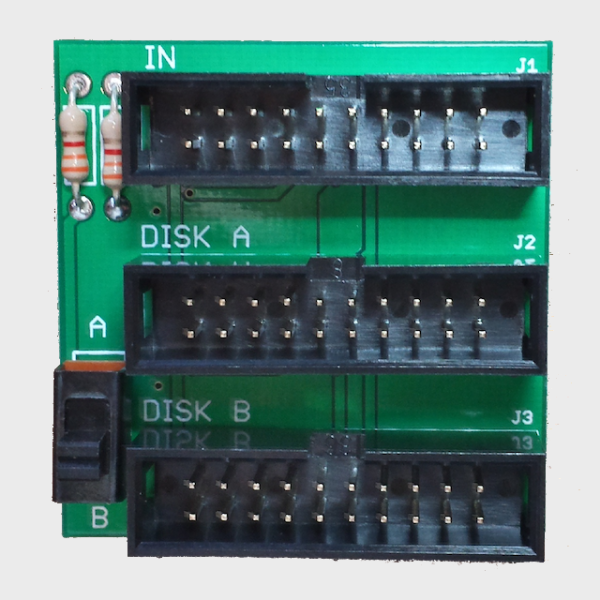 Select between a Floppy Emu and a real floppy drive at the flip of a switch. 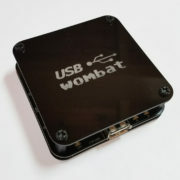 Includes switch module and one 3 foot 20-pin ribbon cable. 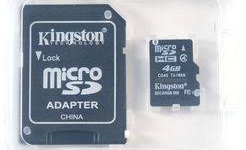 For Lisa computer owners, and Macs with only one internal floppy connector, disk drive emulation can be awkward sometimes. The Apple Disk Drive A/B Switch aims to eliminate that awkwardness. 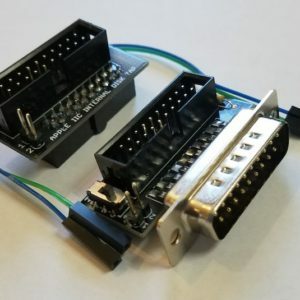 This accessory makes it possible to attach a Floppy Emu and a real floppy disk drive at the same time, and select between them with a switch. 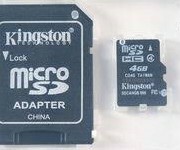 Both drives will be powered, but the computer will only “see” one drive at a time, depending on the switch position. 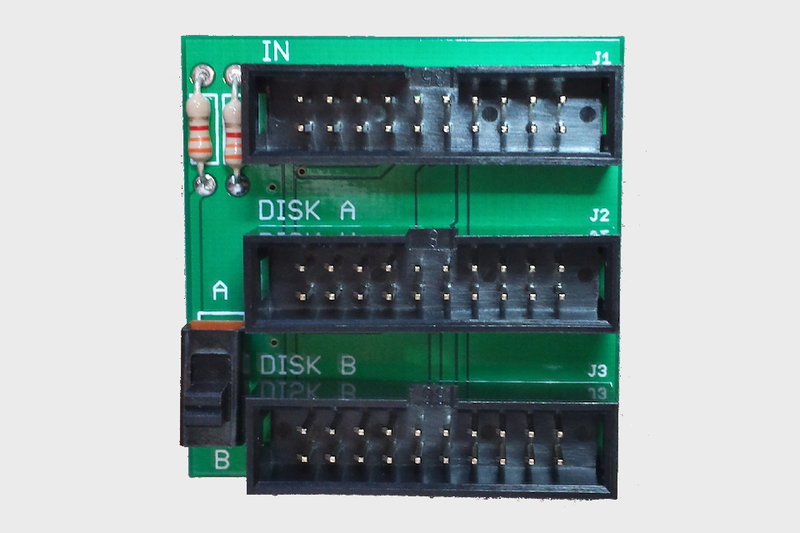 If you’ve got a single-drive system, and want to work with physical floppy disks and the Floppy Emu without a lot of cable swapping, then this is for you. The board design is about as simple as it gets. 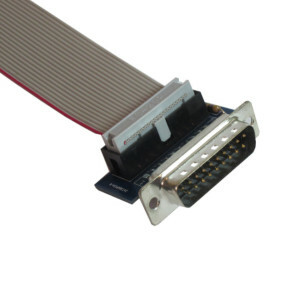 A 20-pin ribbon cable connects the “IN” port to the computer’s logic board. 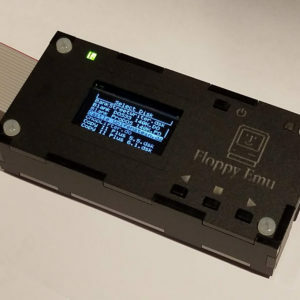 The Floppy Emu is attached to “Disk A” and the real floppy drive to “Disk B”, or the other way around – it doesn’t matter. 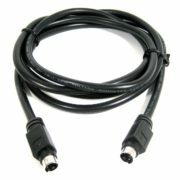 All of the power and data signals are shared between all three of the connectors on the A/B board, except for the ENABLE signal. By moving the A/B switch, you can alternately connect the computer’s ENABLE signal to either Disk A or Disk B. 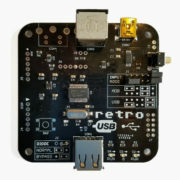 Both disks also have a 3.3K ohm pull-up resistor on their enable inputs, to ensure they’re disabled while they’re not selected with the switch. 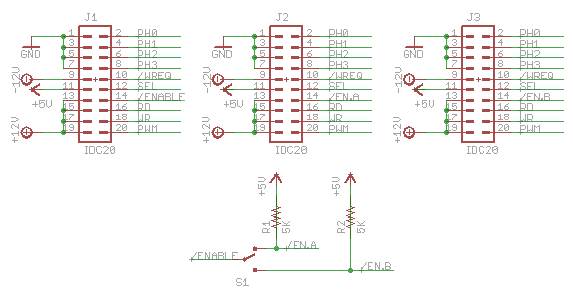 If you’re interested in designing customized versions of this A/B board, see the Eagle design files. The design is released under the Creative Commons BY-SA license, and you’re welcome to use it in your own designs.